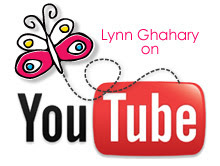 Lynn Ghahary :: Pieces of Me ...: Bazzill Basics - Beach House collection and a GIVEAWAY! Two Peas In A Bucket - WINNER! 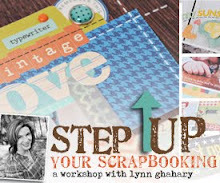 Scrapbook & Cards Today - Fall Issue is OUT! Bazzill Basics - Beach House Winner! Two Peas In A Bucket - Workshop WINNER! Bazzill Basics - Beach House collection and a GIVEAWAY! Hi everybody! I have something fun to share with you today. Last month the good folks at Bazzill Basics sent me some goodies to play with - the new Beach House mini paper pack and Card Shoppe cardstocks. I had the best of intentions to create something as soon as the goodies arrived but I got a wee bit sidetracked finishing up my Two Peas workshop, getting ready for back to school, and basically living our lives at the football fields watching my oldest play and practice. The good news is that even though this collection has a beach theme it can definitely be used for projects other than those planned for summer. The colors are perfect for masculine themed cards and that is exactly what I created. I choose three patterns from the mini print pack of Bazzill papers - a blue, red, and stripe - and then cut them using my Silhouette into these mod shapes. 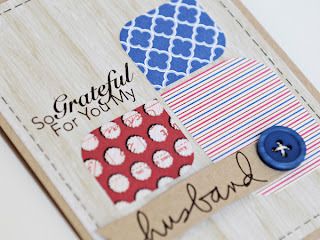 I then stamped my sentiment with one of my favorite Technique Tuesday stamps by Ali Edwards using Stampin' Up! Early Espresso ink. I like to use this color as an alternative to black (which can be a bit stark) especially when I'm using kraft cardstock. I added a button from Fancy Pants tied with twine to hold my stamped banner in place. And now for the giveaway! 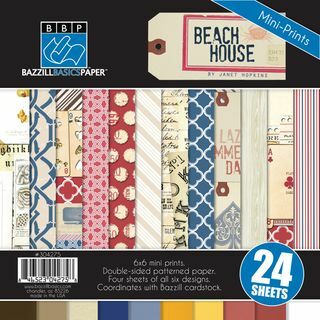 The good folks at Bazzill Basics sent me another set of Beach House papers and Card Shoppe cardstock to give away to one of my lucky blog readers. Just leave a message on this post and be sure to include your email address so I can contact you if you've won. This giveaway will be open until Thursday, September 20th and I'll announce the winner on Friday morning. Good Luck! I have been wanting this collection and can't find it anywhere locally... would love to win it! Thanks for the chance! I love your card!!! And thank you for a chance to win...this collection is nothing short of amazing! Thank again for your generosity...sillypea is right, it's not easy to find around here in Knoxville either!!! Oooo! Such pretty bright colors. I love this collection. love this collection but then again i slove bazzil products! I totally love that Beach House collection! Happy Early Anniversary! thanks for the chance! I love red and blue and I don't find that a lot of collections have that combination. It's so fresh. Thanks for both you and Bazzill for the chance to win! I think this collection is great for so many projects. Always enjoy your creativity! Happy Anniversary!! I am sure your hubby will love the card. Very impressive indeed to have it ready so far in advance. We just celebrated our anniversary on the 5th and I was late with finishing the card. I didn't know Bazzill had pattern paper lines, very nice to see more great paper from Bazzill. I love this collection. 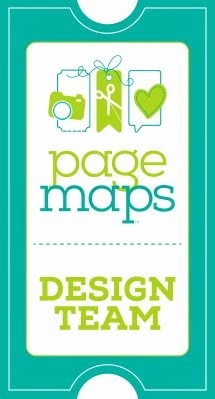 I agree with you that the colors and patterns can definitely be used for more than beach pages. Your card turned out perfect. One of my favorite parts of this collection is the blue. Love your card. My hubby and I celebrated 17 years today!!! What a beautiful collection! Thanks for a chance to win, I love Bazzill! Happy anniversary to both of you! I'm sure he'll love your card. Thank yo for allowing us to participate. Love the collection! Thanks for the giveaway. I love your card. The 6x6 pads are so cute. I need to begin making cards! Love your card and the papers. Thanks for a chance to win. Happy Anniversary! Love your card. These are fabulous, love that collection. Thanks for the chance. such a perfect masculine card! i love it. thanks for the chance with the give away. love the colors! great card. Just love the look of this collection! Would love to play with it. Oh this is an awesome collection! I love that shade of blue, and I really love your card =) Thanks for the chance to win! love the simplicity of your card. i have a ton of beachy photos to scrap and this would be the perfect collection for those projects. I love your card! Thanks for the great giveaway! Great Anniversary card- congratulations! Thanks for the giveaway! Really like your card! 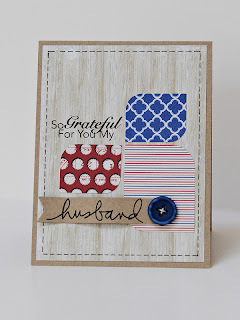 Love the stamped sentiment on it! Love TT AE stamps! Thanks for the chance to win! Love your card. That looks like a great collection. Thanks for the chance to win! What a pretty card!! Thank you for the chance to win!! Great card. Gorgeous collection of paper. LOvely card...this paper is very pretty, I had never seen it but now I would like it! That beach house is a lovely set of papers.